Written by Decorilla designer, Eleni Psyllaki of My Parasissi. 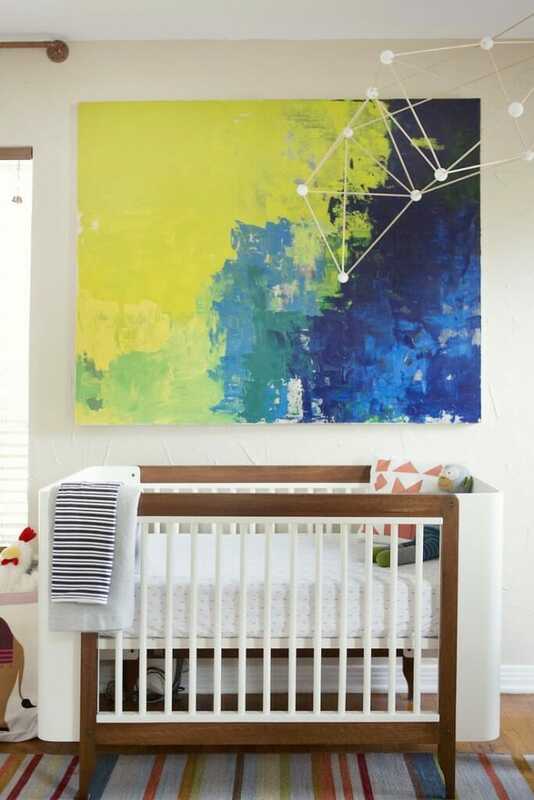 Decorating a nursery can be a fun and exciting experience but also quite challenging at the same time. Picking the right furniture, choosing a fun design theme and decorating with the most eloquent accessories are often a puzzling endeavor that confuses many moms to be. Things get even harder when the gender of the baby is kept a well-hidden secret during the decorating process. 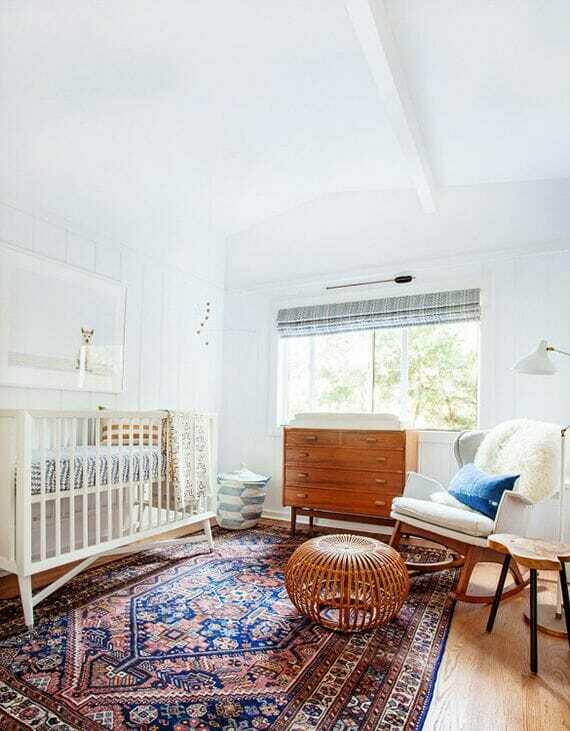 Thankfully, there are so many things one can do to add style and character in a neutral gender nursery in an exquisite and eclectic kind of way. Here are 5 things I love to use for a sophisticated nursery design. One of the first things babies seem to enjoy is looking at themselves in the mirror. Hang one on the wall and let your baby smile every time you pass by. The quickest way to give a personal touch to your baby’s room is to make some of the accents by yourself. 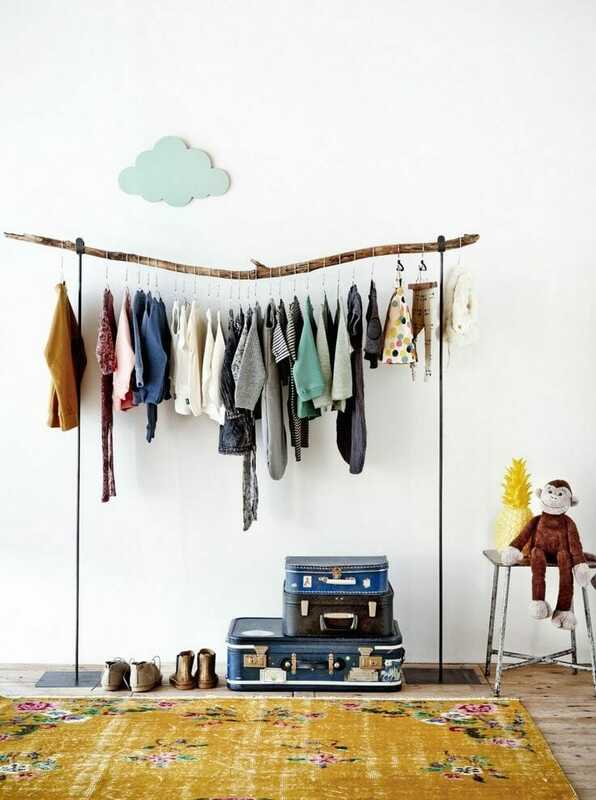 A branch clothing rack may not be the easiest diy project to try but there are tons of amazing tutorials online that can help you through. 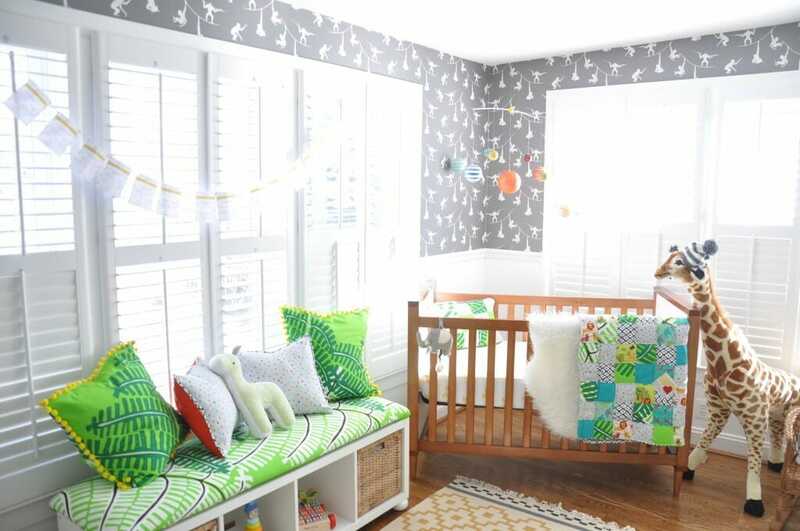 Sure, it is a baby’s room we’re talking about but don’t forget you are going to spend just so many hours in there. Gorgeous art will give a grown up touch while add color and vibrance to the design. There are hundreds of amazing choices out there, fit for all kind of styles and attitudes. 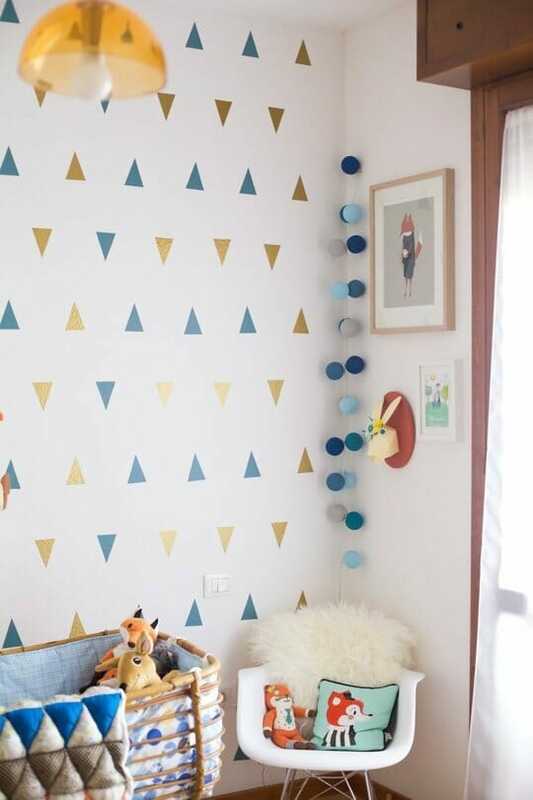 A bold geometric pattern on the wall creates an instant statement that enhances the overall design of the room. Breastfeeding, cuddling, reading a book or just watching your baby sleeping in peace, a comfortable sophisticated armchair will complete a welcoming nursery layout. Don’t forget to add a footstool or ottoman for extra relaxation.